With an illustrated children's story describing the paleo diet, and colorful, mouthwatering photographs of recipes without grains, dairy, soy and refined sugar, this book is written for children. For those with food allergies, the top 8 allergens have been visually marked on each recipe for children to self-identify recipes that may contain eggs, nuts, fish, or shellfish. Parents needn't panic! Details on the tools and products your family needs to get started have been provided, as well as an assortment of tips to help you along the way. 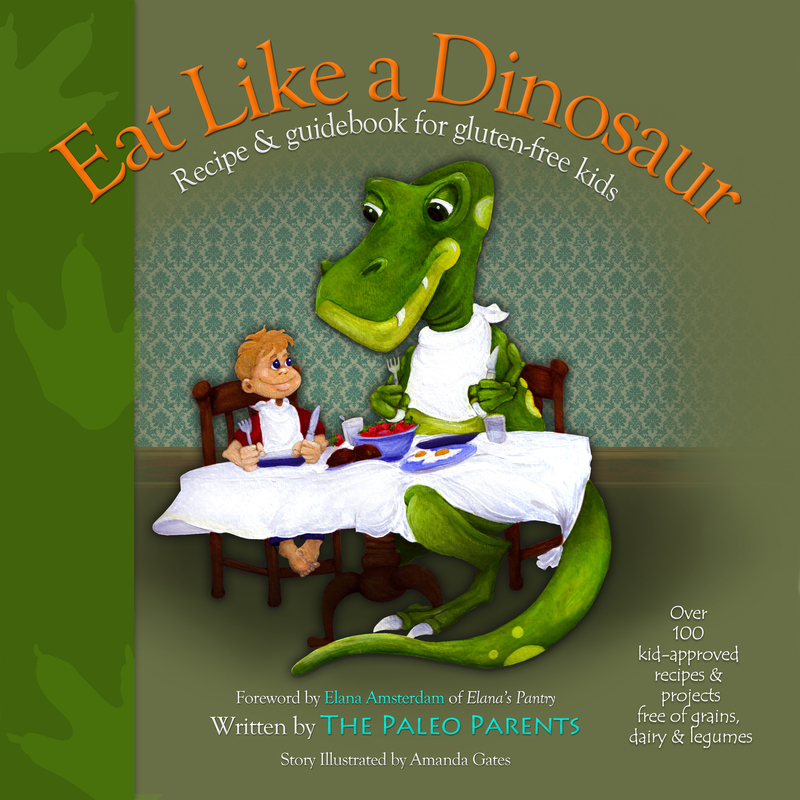 Eat Like a Dinosaur will inspire your entire family to shop for new ingredients and get into the kitchen together. Let Matt and Stacy, the Paleo Parents, show you how to make the transformation in your family's life. With positivity, practicality and an appreciation for the fact that even the healthiest children sometimes want cupcakes and chicken nuggets—this book simply provides healthier ways to give kids the foods they love.